My-Alia : Would you like to be My-Alia.com's SPONSOR..??? Salam, and a very good day to you. I am Siti from http://www.my-alia.com/. I have a simple proposal that you just can't refuse. I am looking for a SPONSOR for my blog. 1. 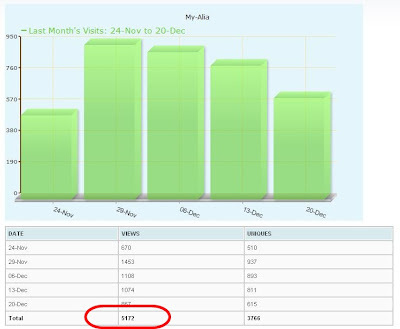 Why My-Alia.com needs SPONSOR? The answer is simple. 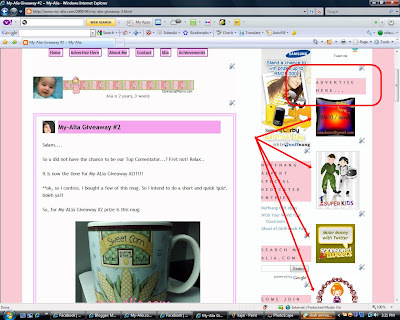 This coming 2010, i have an intention of conducting a monthly contest, and yes, i really do need prizes for that. To tell you the truth, i did some contests, and pop quizes (for the past few years) but the prizes weren't so great. You can check here and here. So i hope this coming 2010 will be a great year where we can conduct contests with great prizes! 2. What sort of SPONSORSHIP am i looking for? 3. What sort of contest am i going to run at My-Alia.com? Well, i haven't decide on that yet. Maybe after i get some sponsors, only then will i discuss with the sponsors. So it is like, win-win situation! 4. Why do you have to be one of our SPONSOR? The answer is simple. For business purpose. 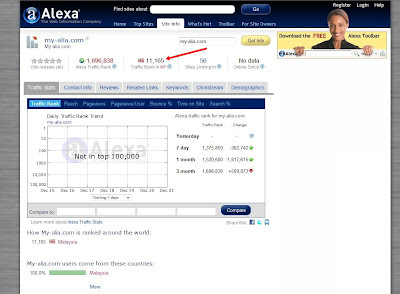 And we are listed on Alexa ranking too! 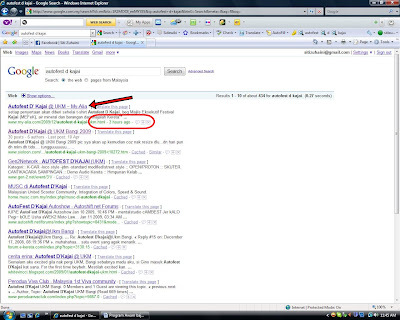 Well, didn't i tell you that Google picks up keywords from My-Alia.com easily..? 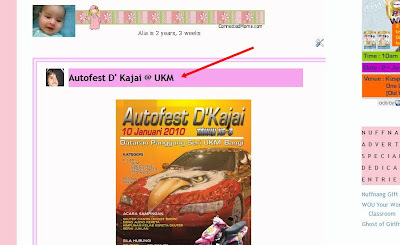 I did a review on Autofest at UKM. Now, within 3 hours, it is already listed at Google Search! How would you like if your products are also listed among top searches on Google..? 5. And the target group? 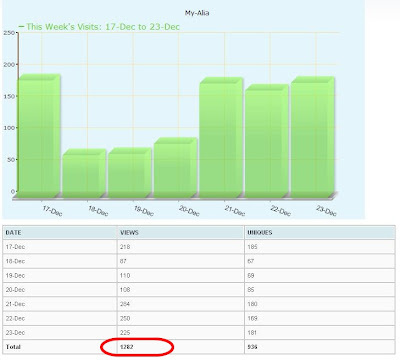 Oh, currently readers of My-Alia.com are mainly parents (mothers, mostly). So, these moms are usually eager to join in any contests that offers prizes such as vouchers.. toys.. baby products... bags.. etc! I am sure, if you become our SPONSOR, they would die to join our contest! 6. What else did you get besides becoming the SPONSOR of the prizes? And also, if you happen to promote your latest product, i would be happy to promote them for you.